Today I learned about a gated community in Hawaii called Kukio, first makai entrance north of the Kona airport. I was told Low End homes go for $8 million. 1/2 to 1 acre lots have sold there for up to $30 million. There is a home in there that cost $169 million, though I understand for lower tax purposes is said to be $20 million. Talk about the 1% scheming to avoid paying their fair share. I’d drive to Kona to join in protest at the Kukio highway entrance or on the King’s trail that is a public sidewalk running through all those developments along the South Kohala/Kona coast. First amendment rights apply on the King’s trail, as well as the shoreline/beaches. Anybody for researching at the tax office who the owners of the approximately 200 homes at Kukio are? Merrill Lynch is said to have built 3 homes in the $25 million range on the Kona coast, perhaps at Kukio or nearby 4 Seasons resort. The latest bank scam that is coming down is this. The Big Investment Banks are each transferring tens of TRILLIONS of dollars in derivatives (risky bets) into FDIC government insured accounts in their commercial banks. For example –Merrill Lynch (now owned by Bank of America) is transferring $55 TRILLION OF DERIVATIVES into Bank of America FDIC accounts. FDIC bank accounts were designed to insure safe savings accounts not risky bet derivatives. If Merrill Lynch and the 1% make money on derivatives they pocket the profits. If they lose, they transfer the loss to us — the 99% taxpayers. We need to tell Merrill Lynch, and those in Washington that are charged with regulating these Banksters, –TAKE YOUR DERIVATIVES OUT OF FDIC ACCOUNTS. WE WILL NOT BAIL YOU OUT AGAIN! It’s the Wall St. Banksters and their corporation bought politicians (at all levels of government) that should be in jail. Together, for power and greed, they are looting the public treasury and people’s life savings, moving jobs overseas, pushing people out of their homes, destroying the environment, and waging imperial wars for control of oil and other global resources. 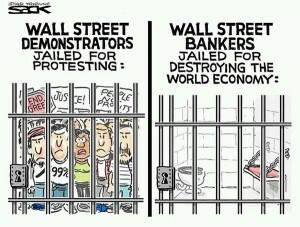 Jail the Banksters & their Washington Cronies! Stop the Wars & Corporate Crime! 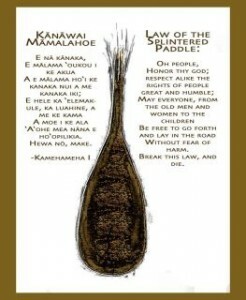 Free Hawai’i from Wall St. & U.S. Occupation! We normally have a volunteer farm day and pot luck on the first Sat. of the month but we have been remiss lately with so much peace and justice action going on. 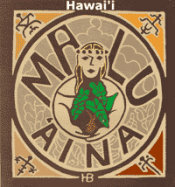 Much of the food grown at Malu Aina is given away freely to people in need and unfortunately, the need is growing. We are planning a volunteer farm day for Sat. Nov. 5th 8-11AM with a pot luck to follow. The farm project is likely planting Uala (sweet potato) and Kalo (taro). There will likely be some taro huli available to take home and plant in your yard. Come prepared for rain though we always hope for sun. A hat, sun glasses, rubber boots, rain jacket, and gloves are helpful. There will be jobs available for all ages and skills. Email or call if you need directions.